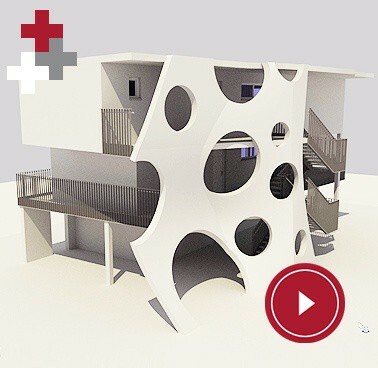 Discover a BIM software that lets you develop your ideas freely! 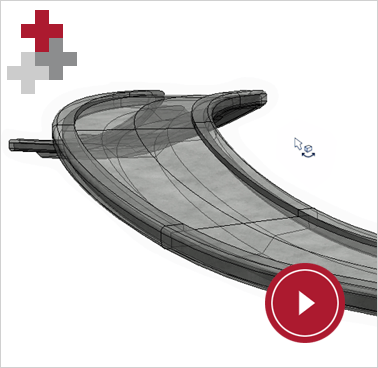 Allplan Architecture is a universal BIM planning tool with extensive CAD functionality. You can work flexibly either exclusively in the 3D model or in a combination of 2D and 3D, which is a particular advantage in the working drawings. The strength of Allplan Architecture lies in its high reliability and precision across all planning phases, in particular in the area of quantity takeoff. Due to the integrated Parasolid modeling kernel, a large number of new options are available to you. For example, 3D solids without any previous polygonization can be modified simply and precisely. The system allows the editing of random points, straight or curved edges and the surfaces of 3D elements. In addition, the user-friendliness and the workflows in 3D modeling have been optimized at various points. Parasolid-based 3D solids can now be converted into user-defined free-form components (quantity solids). These user-defined components can be modified in flexible and simple ways with the usual modifications such as Boolean operations or point modification. It is even possible to easily define and adjust the outline presentation. With the new functions for creating views and sections in Allplan Architecture 2017, the generation of plans is easier and faster than ever before. Function palettes enable the direct and intuitive checking of display parameters. After changes have been made in the building model, you no longer need to update the derived plans. Thanks to a new function, this is done automatically. Manually inserted elements such as dimension lines or texts are retained. With Allplan Architecture 2017 you ensure that your plans always match the building model. And what’s more, the calculation of sections is up to 50 percent faster. One central challenge involved in working with the BIM method is to allocate the various tasks clearly to all the project participants and then to track them. The task management should be as quick and as convenient as possible for both you and your design partners. The Task Board was introduced in Allplan 2017 for this purpose. The Task Board is directly connected to the open BIM platform, bim+. With bim+, you can collate, view, analyze, and share model data from Allplan and other OpenBIM solutions. The BIM Coordinator, for example, may detect unclear situations or design errors thanks to a visual check and can assign any problem to an editor. During the interaction between bim+ and Allplan, any new to-dos are immediately displayed on both sides. When the task is complete, the status is set to “Done” and the modified model is uploaded to bim+ again. All the project participants then immediately have access to the new design status. To detect design errors at a very early stage, you can perform a collision check with bim+, such as between the partial models of the architects, structural designers, and building service providers. In the interaction between bim+ and Allplan, the tasks for eliminating collisions are delegated efficiently to the responsible editor via the Task Board. As soon as a new design status is available, it can be documented as a new revision with a traceable history. 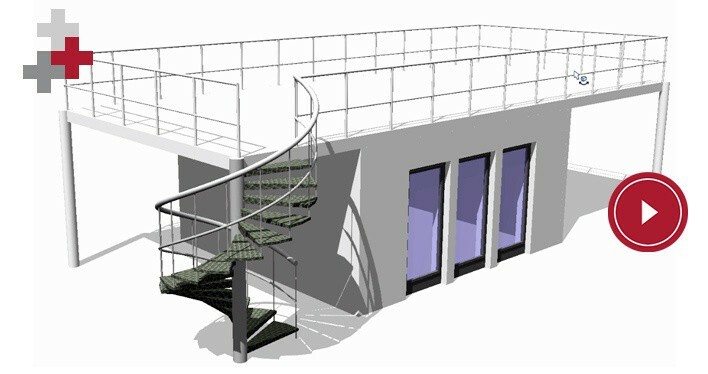 The existing SmartPart library with parametric objects has been supplemented with predefined bands of windows. Moreover, there are adjustments and implemented customer wishes in the range of existing objects: The “window sill” object is now more flexible and can be modified using handles, and the range of door cutouts and the possibilities for fitting roller blinds have also been extended considerably. One option for gaining access to parametric objects is to use the integrated Allplan Python API programming interface. You write Python scripts, with which you can access functionalities in Allplan and you can add new functions and objects to Allplan. The PythonParts produced in this way have a separate user interface with properties palettes, handles, and individual work processes. They can also be modified later with just a few clicks. In addition to producing parametric objects and variants, you can also automate recurring work steps with this interface. *Survey of 1,103 Allplan customers/prospects in September and October 2015. 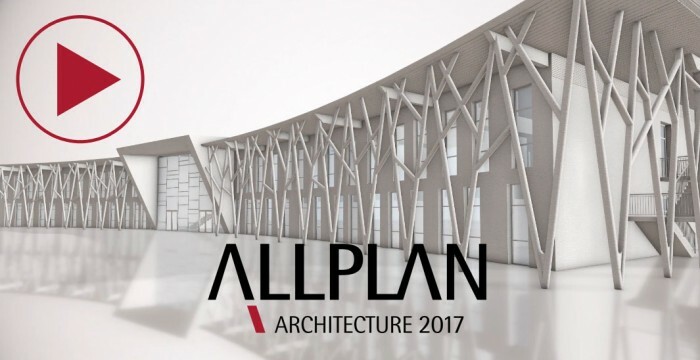 In response to the question “Would you recommend Allplan to others?”, 98% said “Yes”..
Allplan Architecture is a universal BIM planning tool with extensive CAD functionality. From the first sketch, design planning and visualization through precision in the execution phase (BIM working method), our software provides you with optimum support. 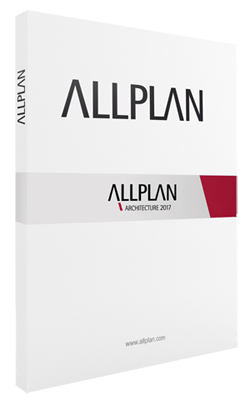 Test the full version of Allplan Architecture 2017 for 30 days free of charge and with no obligation.